Stop what you're doing (well, read this great post...then...) run on over Five Alarm Book Reviews the creators of this fun meme to showcase awesome covers and recognize amazing artists! 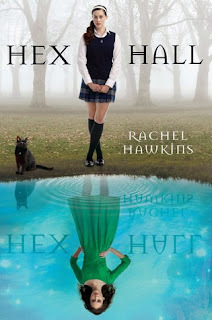 This week I wanted to feature the Hex Hall Series by Rachel Hawkins. I hunted for info on the cover artist to no avail, so if any of you know who is responsible for these great covers, just let me know! I love this series! 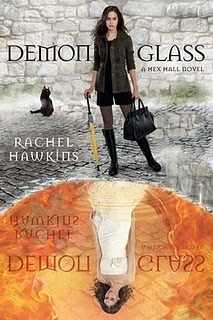 One of the things that drew me in was the cover, I like the duality of Sophie's nature as depicted by the covers. The only drawback is I keep waiting for the cat to turn up! Hope you like this week's candy! 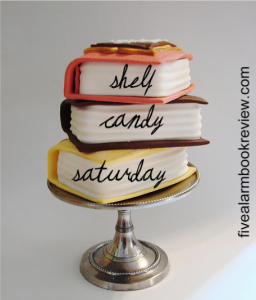 Now it's time to head on over to Five Alarm Book Reviews to check out more pretty pictures and, hopefully, share some of your own picks! I really like these covers as well. I really enjoyed Hex Hall. 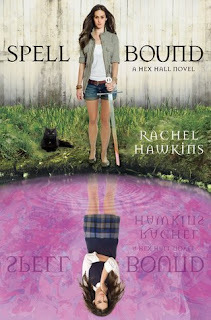 I want to read this series, but have not gotten to it yet. The covers are interesting. What is the deal? Good vs. evil or is it just showing two extreme sides of the girls personality. I guess I will have to read it and find out. Happy to see that the cat makes the cover in all the covers.